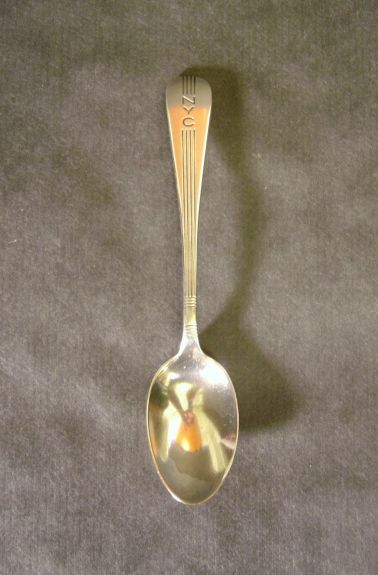 Description New York Central Railroad (NYC) 1936 Mercury Pattern Reed & Barton Silverware Silver Tablespoon used on the first Mercury train from Detroit to Cleveland. Very rare. This collector has only seen two examples of the tablespoon, one of which is this item. This flatware pattern was only used from 1936 to 1939 on the original Mercury Streamliner. Everything used on the train was designed by Henry Dryfuss, including this silverware pattern.